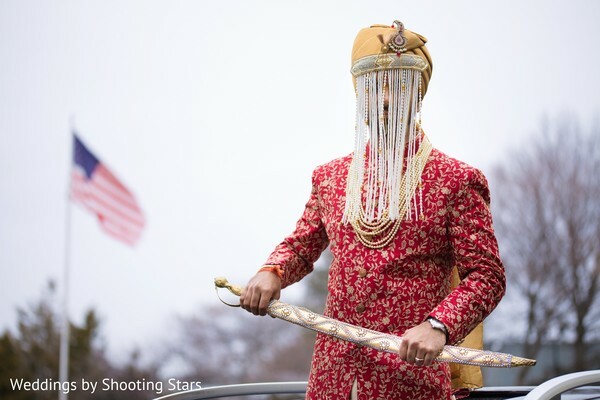 Happy Tuesday Maharani Weddings readers! 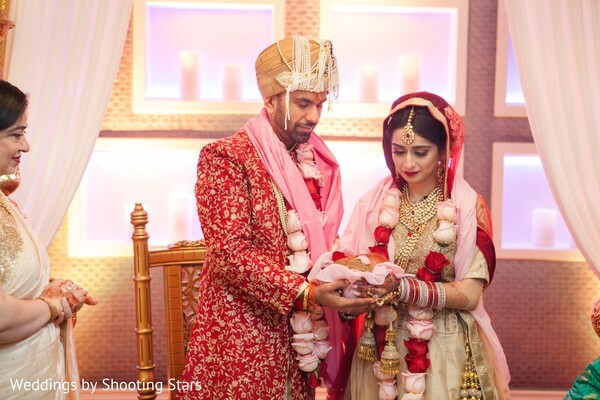 Purvika and Mohit’s feature is all about pure wonder and love. 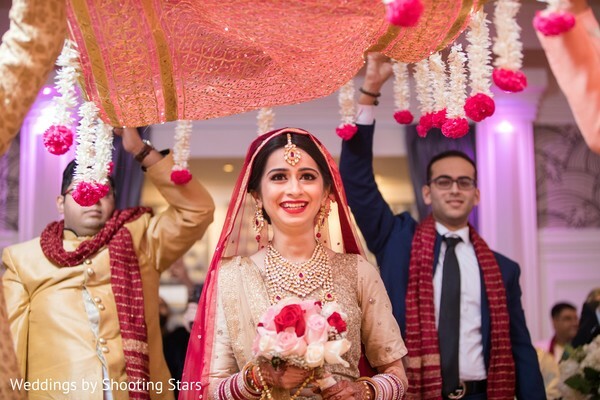 The celebrations began with a fun-filled Sangeet at Antun's by Minar, where our lovely Maharani made her debut as a bride with a gorgeous bun and makeup by the top Styles By Swati- Salon SBS team, who made our Maharani look super feminine and glamorous. This charming ceremony took place at the stunning Chateau Briand in New York and was meticulously planned by the bride herself! 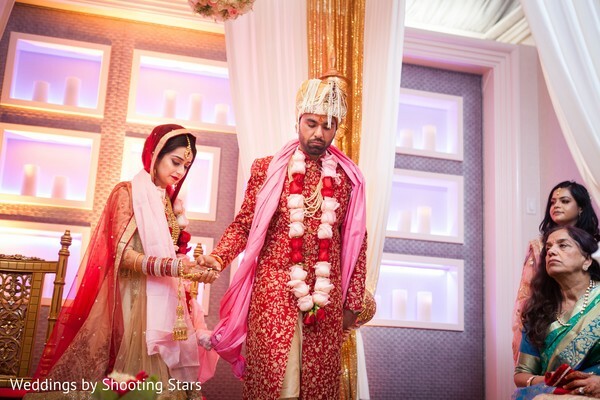 I absolutely adore this couple’s ceremony style! 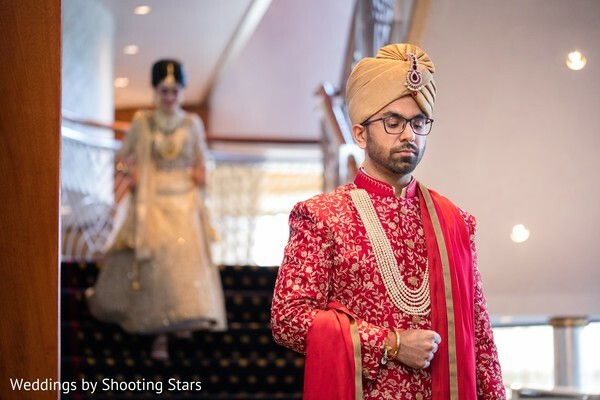 The bride’s exquisite golden lehenga with sparkling motifs as well as Raja Mohit’s golden turban added a royal splendor to the occasion. 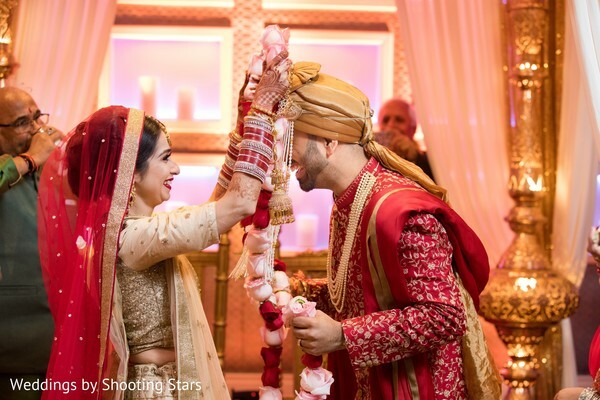 The mandap featured splendorous tall gold Moroccan lanterns that lighted the bride and groom while exchanging vows and two gorgeous hanging pomander balls, created by Floral Explosion, added a fresh touch to the wedding ambiance! 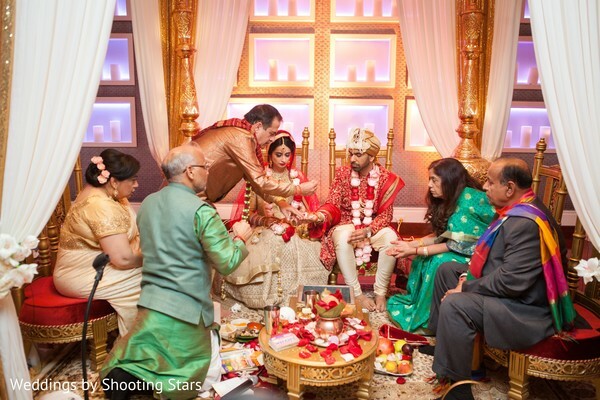 The picture-perfect moments of the day were all captured by the brilliant photo team of Weddings by Shooting Stars! See our full gallery for more inspiration! 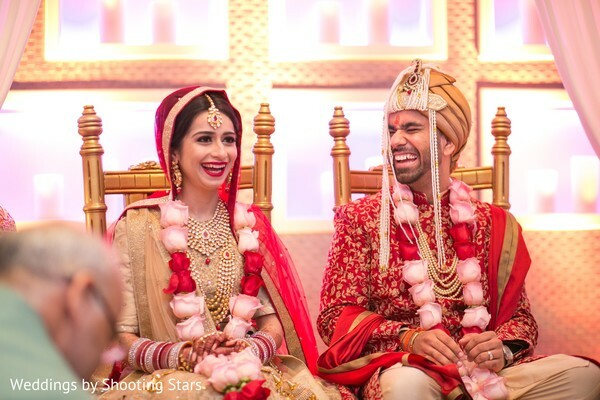 Don’t miss the cutest post-ceremony images shortly!